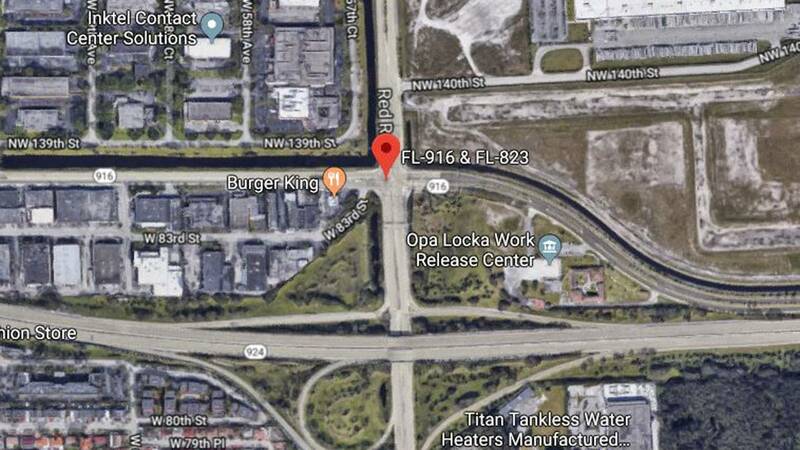 MIAMI-DADE COUNTY, Fla. - After a car struck a cyclist, the impact launched the person and the bicycle flying and still the driver didn't stop to help Thursday afternoon in Miami-Dade County, near the Amelia Earhart Park in Hialeah. Miami-Dade Police Department officers and Florida Highway Patrol troopers were investigating the hit-and-run crash near the intersection of Red Road and State Road 916. Miami-Dade Fire Rescue personnel used a helicopter to rush the victim to Jackson Memorial Hospital's Ryder Trauma Center.